Its contents are sorted into categories (news, sports, entertainment, music, education…) or by country of origin. Thus, the user can always find whatever he’s looking for depending on his interest towards a certain topic or his home country. In turn, it also allows us to search for channels manually by means of its search tool. On the other hand, from the settings menu, we can also choose which tabs and contents we want to see up front or exclusively. This function will save us plenty of time when it comes to looking for channels and playing their streams. 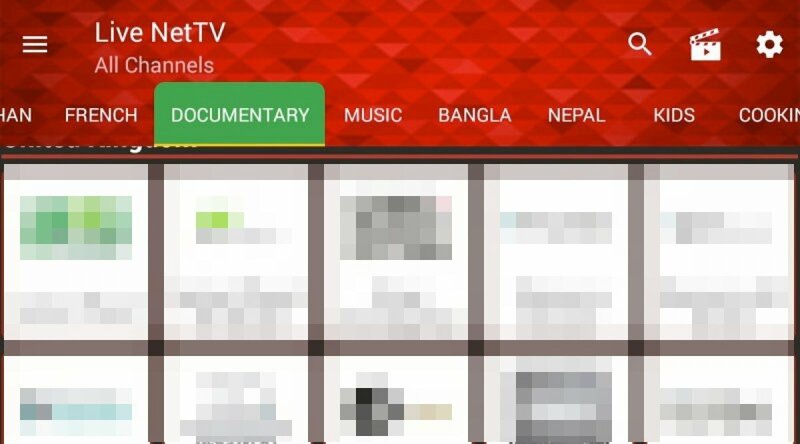 This application, just like other similar tools of the likes of You TV Player or Mobdro, can’t be found in the Google Play Store because it’s suspicious of infringing many intellectual property rights because it links to certain private channels that don’t broadcast openly, offering their contents free of charge. However, the app shows us a warning message saying that its developers can’t be held liable for any of the contents offered, leaving all the responsibility to the sites that host the protected contents. However, that statement doesn’t seem to have convinced Google (that might not have been their intention anyway).